Gold smuggling in India is likely to remain high because unaccounted wealth will not die soon and gold is the best instrument to store it. While gold demand has remained subdued and prices are being quoted at a steep discount to the landed cost, 'unofficial imports'have reportedly seen a sharp spurt in the past two months. Market observers estimate smuggled gold that entered the Indian market since April to be almost similar to official imports during the period. April imports are officially estimated at 30 tonnes and another 20 tonnes are estimated to have been imported in May till now. The figures are lower than a year before, with the price still being quoted at a steep discount to the landed cost of import; a high discount makes import unviable. 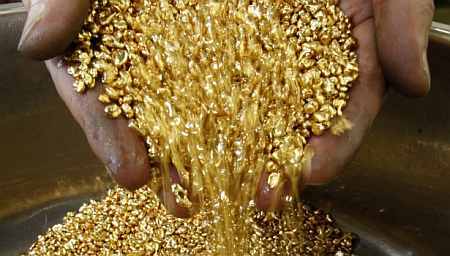 Hence, a large part of the imports consist of dore or unrefined gold and of gold meant for re -- export after value addition. Sudheesh Nambiath, lead analyst­ at GFMS Thomson Reuters, said: “Unofficial imports have seen a notable rise following the end of the jewellers’ strike, while the increase in price has led to a 20 per cent jump in margin from early January. "We estimate the volumes have increased by 35 per cent year on year, with the highest demand in the north and the eastern part. "In volume terms, the past 20 days have seen volumes at the rate of 600 kg a day enter through unofficial channels. In the second half of April, the discount on gold came down to $3 an ounce, from above $30 a month before, as jewellers ended their strike and some demand returned. However, the discount started rising as smuggled gold started coming into the market and demand started fading, said a veteran jeweller. Rajiv Popley, director of Popley Group, said: “High taxes have left the gold business in the parallel trade. Apart from the new excise duty and the new requirement to quote one's tax (PAN) number for purchase above a certain level, a provision for tax collection at source from June 1 for cash jewellery sales worth over Rs 500,000 will tempt more of off-book transactions. “This will encourage the trade to explore alternative routes for procurement of gold, leading to its import through unofficial channel. "History suggests that whenever higher taxes are levied on gold, the trade chooses this as its preferred medium of business,” said Somasundaram P R, managing director for India of the World Gold Council, the mining industry's lobby.